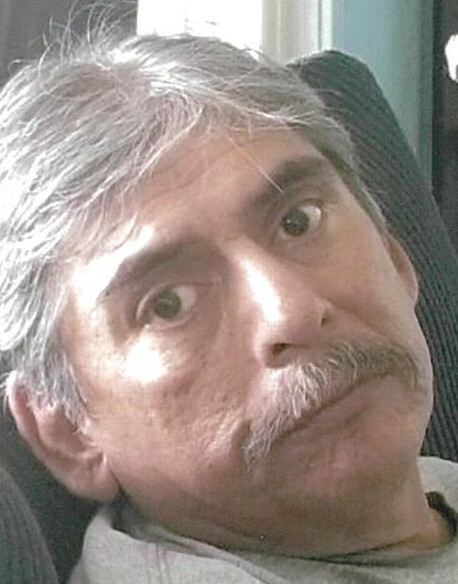 Stephen Aleman, (Mexican Steve) 61, of Aurora passed away Friday, October 12, 2018 at his residence. Stephen was born Tuesday, July 30, 1957 in Houston, Texas the son of Vincent and Ann (Avalos) Aleman. He was a plumber by trade and worked for Young Plumbing in Moeves, Ohio. Stephen was a member of the Church of Christ in Dillsboro and Sons of American Legion of Dillsboro. He had done plumbing locally, which he truly enjoyed and had worked in his mother’s restaurant, Ricardo’s Restaurant, in Dillsboro. He enjoyed fishing, baseball, football, pro and college ball, he also liked the Minnesota Vikings and the Houston Astros. Stephen is survived by father Vincent (Amada) Aleman of Baytown, TX; mother Ann (Robert) Hatchett of Copperas Cove, TX; sons: Stephen (Donna Holt) Aleman of Aurora and Eric Aleman of New Albany, IN; daughters: Stephanie (Nathan) Gulley of Copperas Cove, TX, Virginia (Jeff) Bentley of Jeffersonville, IN, Whitney Aleman and Salena Shupp both of New Albany, IN; ex-wife Debra Gonzalez of Keyser, W. VA; brothers: Harold (Mary Ann) Solis of Baytown, TX and Larry (Maria) Solis of La Porte, TX; sisters: Ann (Ricardo) Valdez of Florence, KY, Josie Aleman of San Antonio, TX and Jennifer Hatchett of Copperas Cove, TX; 10 grandchildren and 10 great grandchildren. He was preceded in death by 2 brothers: Vincent Aleman Jr. and Richard Aleman. A memorial service to celebrate the life of Stephen will be 3 PM Saturday, October 13, at Hope Baptist Church, 15593 US 50, Dillsboro, 47018 with Pastor Tom Holt officiating. Burial will be at a later date in Baytown, TX. Family and friends may gather to share and remember Stephen 1 - 3 PM Saturday also at the church. Memorials may be given in honor of Stephen to the Cancer Fund. Filter-DeVries-Moore Funeral Home entrusted with arrangements, (812) 432 - 5480. You may go to filterdevriesmoorefuneralhome to leave an online condolence message for the family.